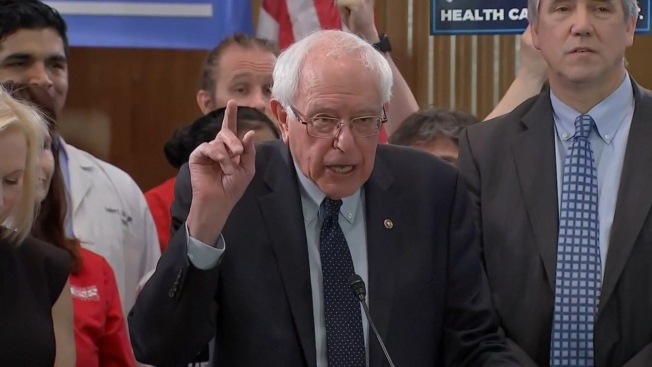 Sen. Bernie Sanders of Vermont unveiled a new version of his "Medicare for All" plan on Wednesday, shaking up the 2020 presidential election by reopening the debate over his call to eliminate private health insurance. 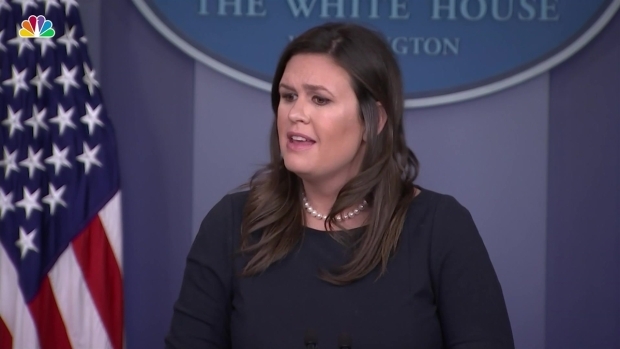 "It is not a radical idea to say that in the United States, every American who goes to a doctor should be able to afford the prescription drug he or she needs," Sanders said. "Health care is a human right, not a privilege." Four of Sanders' fellow senators and rivals for the Democratic nomination are set to sign onto the updated single-payer health care proposal. The bill's reintroduction promises to shine a bright light on Democratic presidential candidates' disparate visions for the long term future of American health care. 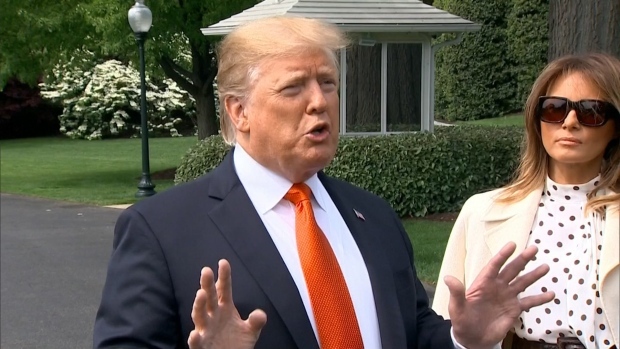 Under fire from President Donald Trump and Republicans for the astronomical price tag of Medicare for All, some candidates who support the plan tout it as one of several ways to achieve more affordable coverage and lower the number of uninsured people. And others who don't back it are instead focusing on safeguarding popular provisions of the Affordable Care Act, such as the one that protects coverage of pre-existing conditions. "Of course, our No. 1 goal should be to make sure we keep in place those protections so people don't get kicked off their insurance," Sen. Amy Klobuchar, a Minnesota Democrat who isn't signed onto Sanders' bill, told reporters on Tuesday. "Then we also have to see the Affordable Care Act as a beginning and not an end." Klobuchar supports a so-called public option, versions of which would allow Americans to buy into Medicare or Medicaid. Four other Democratic senators also running for president — Elizabeth Warren, Cory Booker, Kamala Harris and Kirsten Gillibrand — back Sanders' single-payer plan, which would replace the current mix of private and government health insurance in the U.S. with a new system run by the government. But they also have signed onto at least one version of a public option. 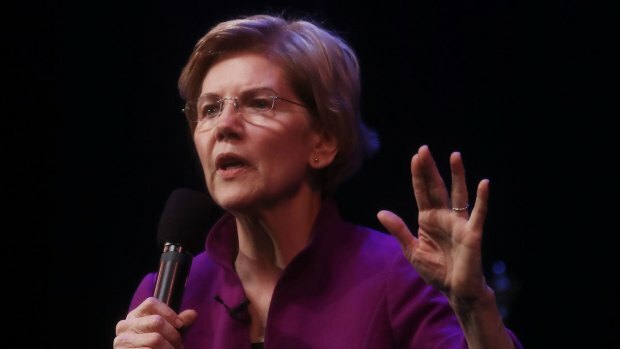 Warren pointed to "a lot of different pathways" to universal coverage during a televised CNN town hall last month: "What we're all looking for is the lowest cost way to make sure that everybody gets covered." The debate is unfolding in the early stages of a Democratic primary in which some candidates have pointed to their support of Medicare for All to prove their progressive bona fides. But other Democratic contenders, including former Colorado Gov. John Hickenlooper, have criticized Sanders' measure as politically infeasible. Sen. Elizabeth Warren, D-Mass., was in Glendale, California, Monday to unveil her plan for universal child care. "What our system does is get rid of insurance companies and drug companies making billions of dollars in profit every single year," Sanders told CBS News for an interview set to air Wednesday, adding that private insurance would largely exist solely for elective medical care such as cosmetic surgery. With Sanders' idea returning to the forefront, Republicans have a fresh opportunity to slam his plan as too costly and unworkable. "So-called 'Medicare for All' means private insurance for none, kicking 180 million Americans off of their current plans," said Kayleigh McEnany, spokeswoman for Trump's re-election campaign. "'Medicare for all' is a euphemism for government takeover of healthcare, and it would increase wait times, eliminate choice, and raise taxes." She touted Trump's "free market policies" as a better alternative. Trump has said he will take up health care after next year's election , essentially making it a central campaign issue. And his administration is arguing in court for the full eradication of the Affordable Cart Act, former President Barack Obama's signature health care law, often called "Obamacare." Senate Majority Leader Mitch McConnell, R-Ky., warned in a Tuesday floor speech that the cost of Sanders' proposal "is so steep that even left-leaning analysts are quietly admitting that the tax burden is virtually certain to land on the shoulders of the middle class." Senator Bernie Sanders held his first presidential campaign rally at Brooklyn College, where he claimed he expects to win the Democratic nomination. Sanders' office released a paper outlining options to pay for his last version of Medicare for All, estimated to cost upward of $1 trillion per year, although none of those options was included in the legislation itself. He and other supporters of Medicare for All have generally sidestepped the question of how they would pay for their plan. Instead, they say it offers the best chance for the nation to get control over health care costs by eliminating profiteering. His newest edition of the bill also would cover long term care, an unmet need for most middle class families. Neera Tanden, president of the Center for American Progress Action Fund, noted the emphasis by most Medicare for All supporters on "multiple pathways" to universal coverage as a potential point of contrast and "fodder for debate" with Sanders, who is leading the Democratic field in early fundraising and is campaigning as a front-runner. "I think it really matters what you say to voters," Tanden said. "That's the most important thing." Her group has proposed a Medicare opt-out plan known as "Medicare for America," supported by former Texas congressman and Democratic presidential candidate Beto O'Rourke, that would allow people to choose to keep employer-sponsored insurance.